We've been lucky so far.. late Sept and still no frost.. there have been a handful of frost warnings, but tonight, it looks like a frost is imminent. So what's a veggie gardener to do? As I say in the title of this post, take cover! 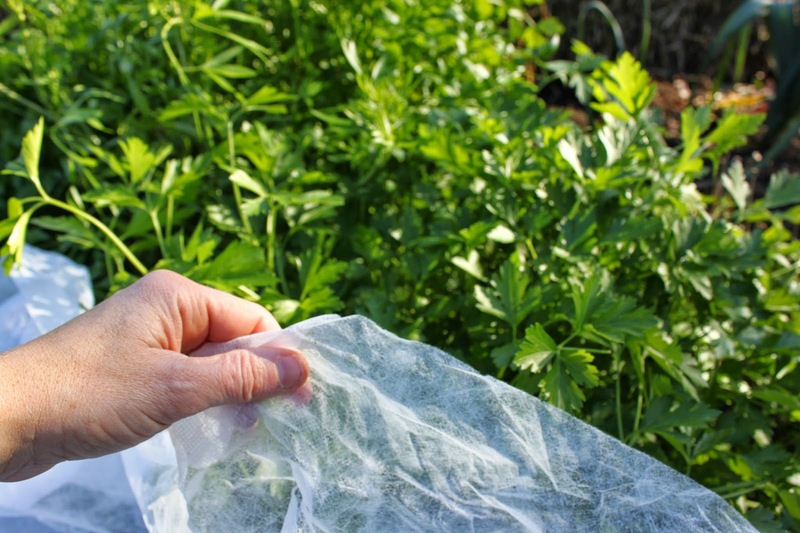 There are a few simple ways to cover your crops and stretch your harvest season by months. Mind you, if you truly want to harvest into late autumn and winter, you'll need to make sure you pick the right crops. What are the right crops? You'll want to focus on the cool and cold season veggies. 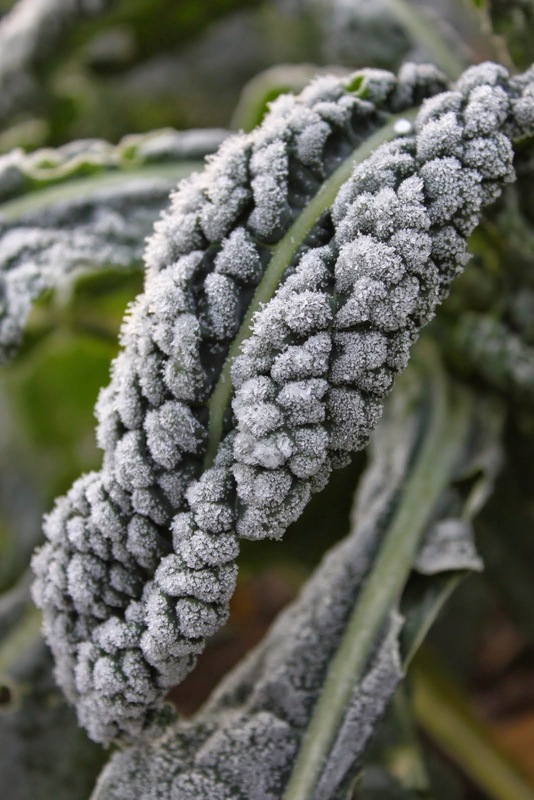 In The Year Round Vegetable Gardener, two-thirds of the book is dedicated to the many outstanding crops that can be enjoyed during the cold season with details on how to grow them and how to protect them. For example, kale is a classic cold season veggie, but there are many others - endive, spinach, chard, arugula, claytonia, mizuna and so on. Plus, there are roots crops, stem crops (leeks, scallions) and wonderful, aromatic herbs that can also be protected and harvested all winter. Now that frost is in the forecast, here are the three ways that I will protect the veggies currently planted in my open garden beds. Row covers - These are a very basic level of protection, but can extend an autumn harvest by weeks or even months, depending on the crop. A row cover is simply a piece of lightweight fabric that comes in a range of sizes and weights. 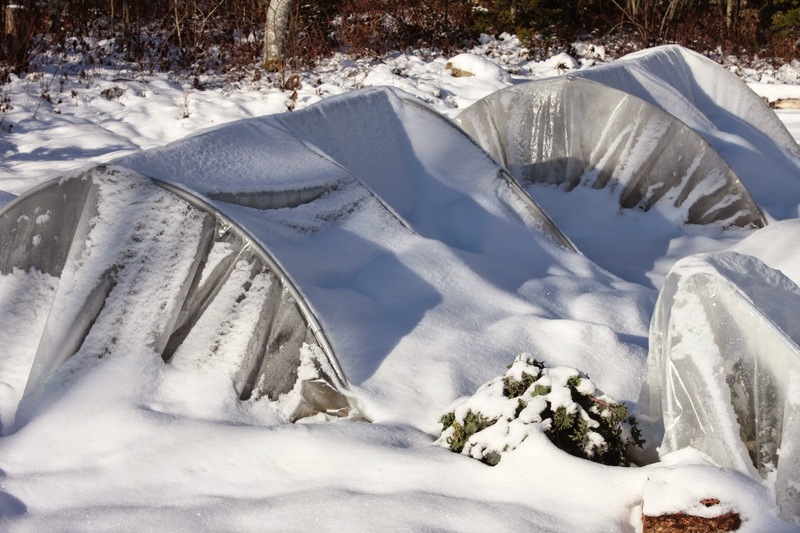 A lightweight row cover can be used to insulate against a light frost, while medium and heavy-weight row covers are used for more serious cold protection. Keep in mind that heavier fabrics allow less light to pass through to your crops so if you still want your crops to grow, remove the covers in the morning, replacing them at night or if a frost warning is issued. Cloches - Cloches have been used for centuries to protect crops. They are an easy way to shelter a few newly planted tomato seedlings from inclement spring weather, but aren't practical for large gardens as venting them in labour intensive. In autumn, I use my stack of plastic cloches to protect late season lettuces, small pepper plants and spicy globe basil from frost. You can also use a milk jug, bucket, or large juice or soda container to make a DIY cloche. If you're only using it at night for frost protection, it doesn't have to be clear. 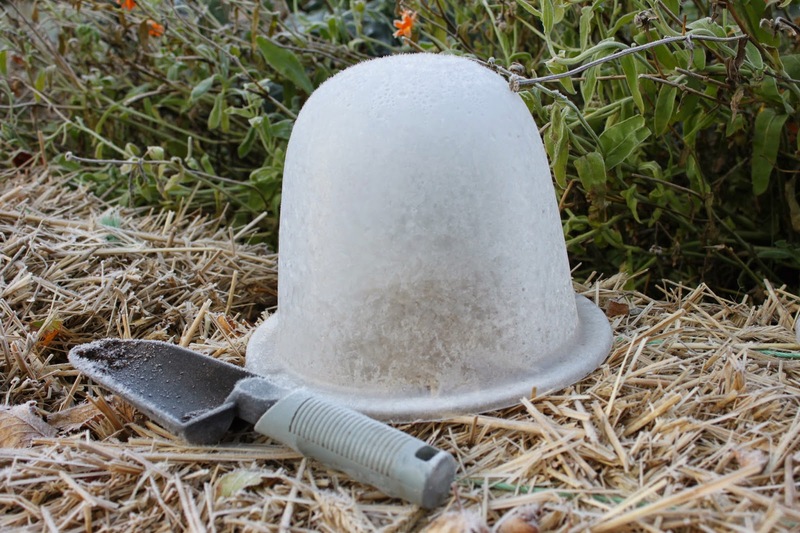 Make a large cloche for autumn tomatoes, peppers, and other mature plants by surrounding a tall tomato cage with a clear piece of plastic. Fasten well at the bottom, but remove during sunny days. support to help shed snow. What do you use for frost protection? Not sure about you Niki, but we got that frost here in PEI on Friday. It was heavy enough to completely kill all of my dahlias. I did cover up my tomatoes with tarps and bedsheets and managed to save the majority. Unfortunately the wind came up and blew some of my coverings off so lost a few plants. Keeping those sheets in place is the hardest part I find. Oh no Marguerite! My garden was spared, but it was close.. and the crazy wind/rain on Sunday night certainly wreaked havoc on the garden. I lost one of my main structures, so no more pole beans! Sigh.. I set up our mini hoop tunnels then placed the 6 mil plastic from Home hardware on top. I also used white sheets that I sewed together to cover our cherry tomatoes. We staked them with stakes that are 8 feet above ground so the plants don't touch the sheets. ( we had many sheets given to us for free). It looked like a huge tent! also, we used row cover from dollarama, then our zucchini plant had a bed sheet with 6 mil plastic on top. What a sight our yard was! Ha! Sounds like quite the set up Angela.. did it work ok? Are you still frost-free? I've been lucky - still no frost and the weather looks decent the next week, so we might not get a frost until October. Nevertheless, I'm keeping my row covers handy! Great post! I was wondering if I can Wintergarden using container gardening? Also, what seeds can be planted now if I haven't planted any yet? I live in Ontario.